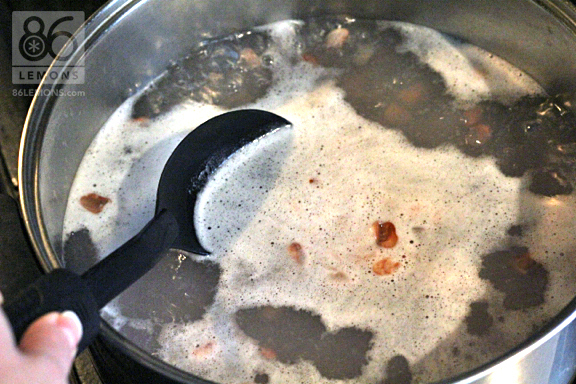 Drain and rinse the soaked beans and transfer to a large pot. Cover by 2 inches with cold water and bring to a boil; skim off and discard any foam on the surface. Reduce heat, cover and simmer until beans are tender, 30 to 45 minutes. Drain and set aside. In a large pot, heat oil over medium heat. 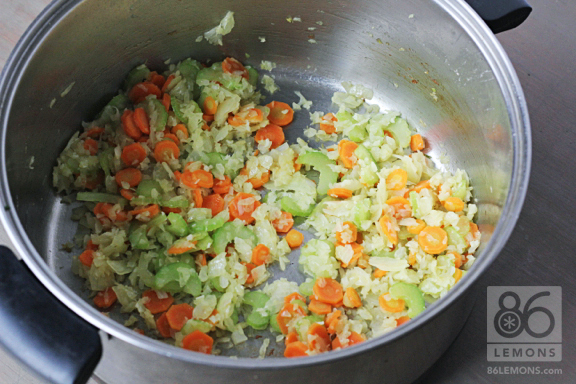 Add onion, garlic, carrot and celery and cook until tender, about 8 minutes. Stir in drained beans, broth, 2 cups water, tomatoes and seasonings; bring to a boil. Add pasta and cook, stirring occasionally, until just tender, about 10 minutes. 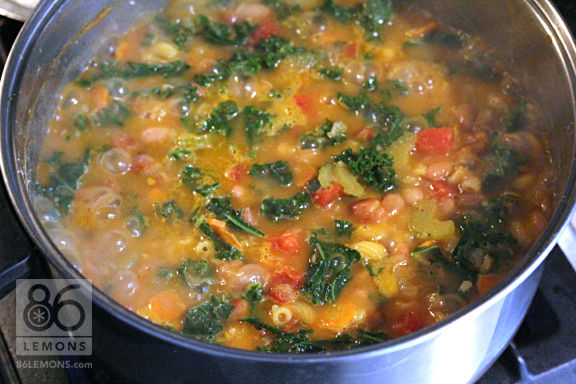 Stir in kale and simmer about 5 minutes longer. 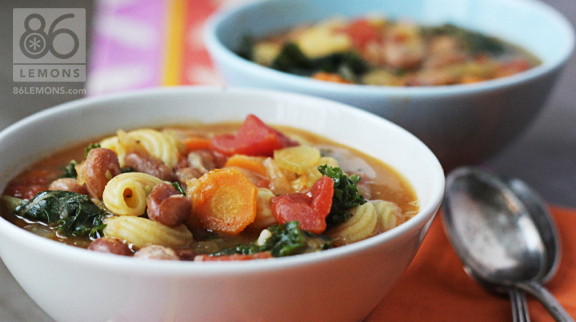 If soup is too thick, add water a cup at a time until desired consistency is achieved. Adjust seasonings as needed. This entry was posted in Cooking and tagged cooking, Soup by shaoxilizheng. Bookmark the permalink.